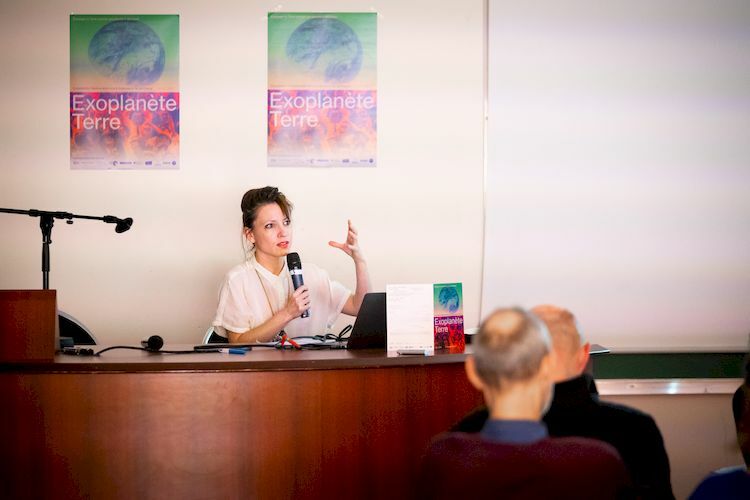 “Imagine Earth as a planet to discover” is the slogan that brought together nine partners around “Exoplanète Terre”—a series of events organized in France to examine future perspectives in art and science on technological and environmental issues. 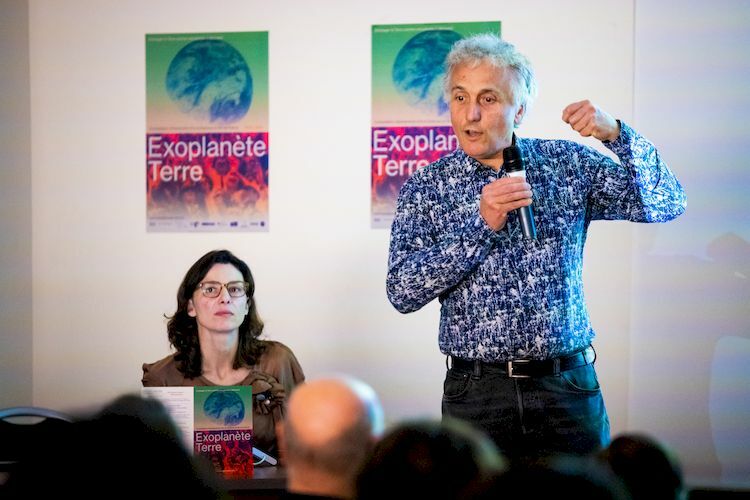 Exoplanet Earth launched on March 22 at École nationale supérieure des Arts Décoratifs (EnsAD) in Paris with the official presentation of partners, events, festivals and talks planned around the greater Paris region for 2019-2020. 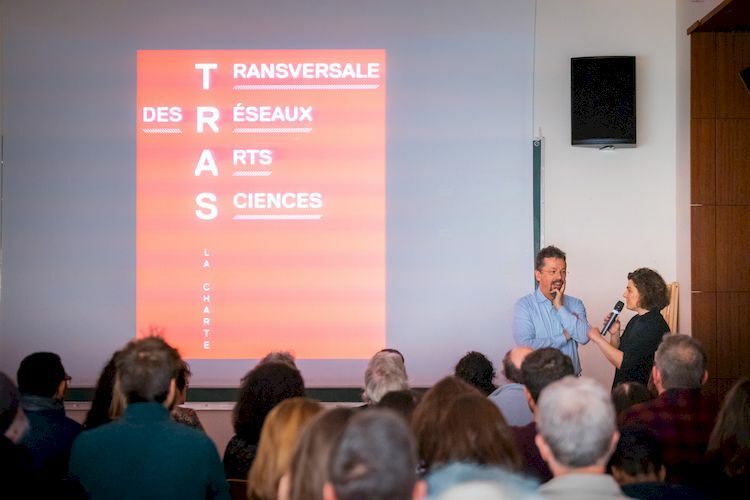 “We need to tell stories,” announced Jean-Marc Chomaz, artist-physicist and co-chairman of the Parisian Chaire arts et sciences, together with Samuel Bianchini, artist and professor at EnsAD. The words chosen for the opening emphasized the importance for the arts and sciences to venture beyond their disciplinary frameworks in order to imagine the future of a planet that we still do not fully understand. 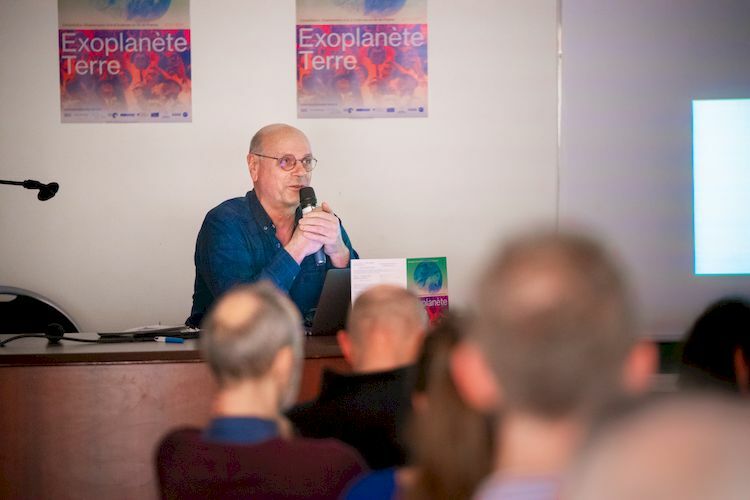 “Exoplanets cast shadows on their sun,” said Chomaz, who is also research director at CNRS LadHyX lab of Ecole polytechnique. “This is the only trace we have of their existence.” Chomaz compared the project’s mission to discover the exoplanet Earth with our knowledge of cells: “We know facts about cells, but we don’t know why cells function the way they do.” Exoplanet Earth will mix fiction, artistic expressions and scientific knowledge to explore our interdependence with our natural environment. According to Chomaz, this means the public also needs to change behaviors. An artist might behave like a physicist, or the opposite, or something else altogether. Both arts and sciences must imagine how they might cooperate in the future. One way of doing this is to imagine Earth as a planet that has yet to be discovered. And that’s exactly what we did that evening. Exoplanet Earth includes key organizations from the Paris region in the fields of art, science and technology: Biennale Siana in Évry, Chaire Arts et Sciences, Ecole Polytechnique, EnsAD, Némo International Biennial of Digital Arts at Centquatre in Paris, CAC Brétigny, Domaine départemental de Chamarande, Collectif Culture 91 and University Paris-Saclay, in connection with Makery and TRAS (Transversale des Réseaux Arts-Sciences). The extensive partner network presented a wide range of events planned for 2019-2020. One of the first approaching deadlines is May 19, for the Carasso Foundation’s “Composer les savoirs”. The 2019 Open Call encourages cooperation between artists, researchers and citizens to better understand mutations between art, social sciences and the humanities, characteristic of the evolving epistemology of the years ahead. For this year, 600,000 euros will be allocated for 10 to 12 projects in France. Within Exoplanet Earth, the 8th Biennale Siana will be held in Evry from March 28 through May 4. This year’s theme, presented by festival curator Nicolas Rosette, is The principle of GlaDOS, about artificial intelligence in art and examples of real-world applications. Another festival, the Némo International Biennial of Digital Arts, will take place from October 3, 2019 to February 9, 2020 at Le Centquatre as usual, as well as around Paris. 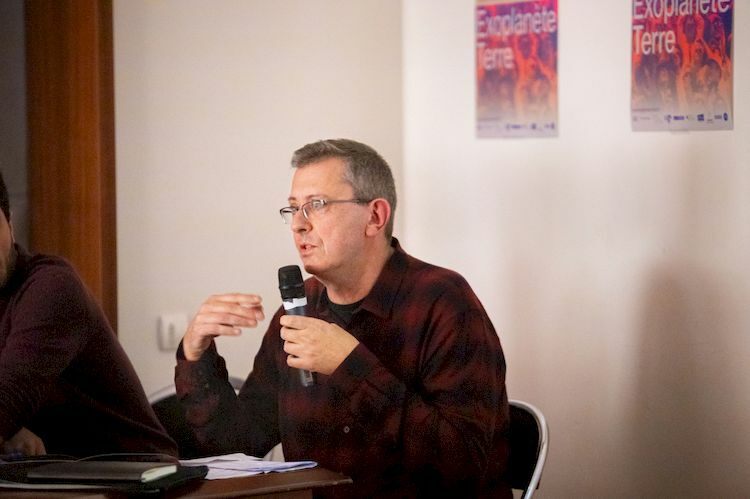 According to festival director Gilles Alvarez, the biennial explores anthropotechniques, ecology, robots and cyborgs, post-Anthropocene and post-human conditions, and the archaeology of homo sapiens stupidus. This year’s main 4-month-long exhibition is entitled “So far, so good?”. 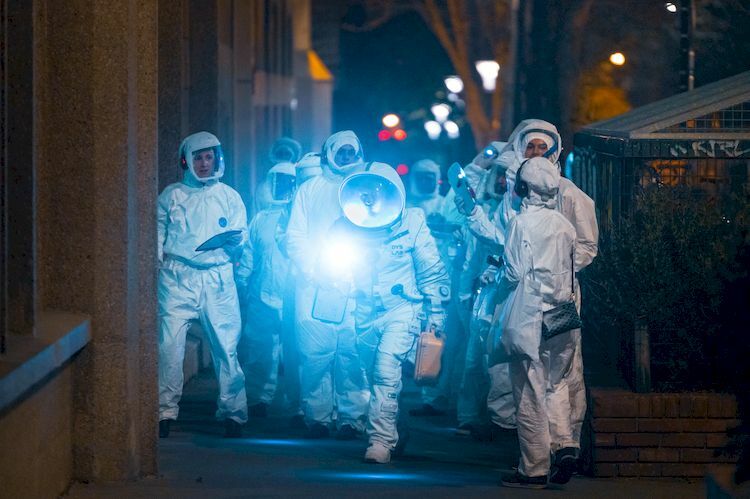 The event will challenge viewers with a post-human perspective, set inside an abandoned museum in a world where humans have already ceased to exist. Does the cognitive narrative of the exoplanet already exist, or do we need to build it? 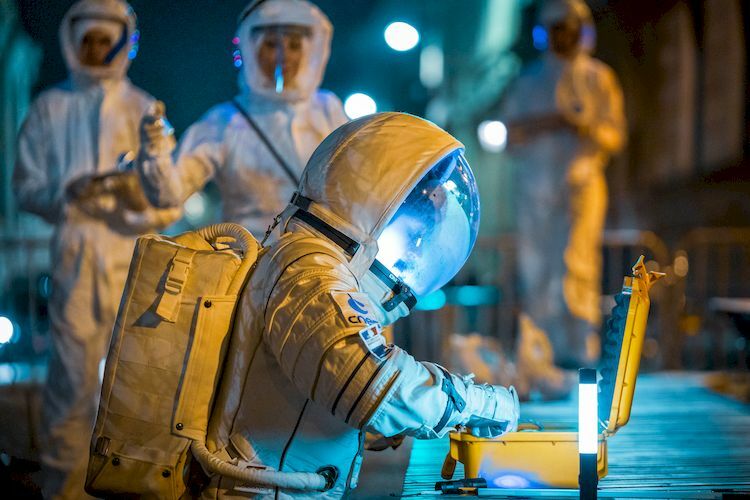 To better understand the Exoplanet Earth in practice, Le Clair Obscur offered volunteers the opportunity to participate in a happening entitled Exoterritories, in which they follow an audio-guided exploration of our planet, fully-equipped in cosmonaut spacesuits. 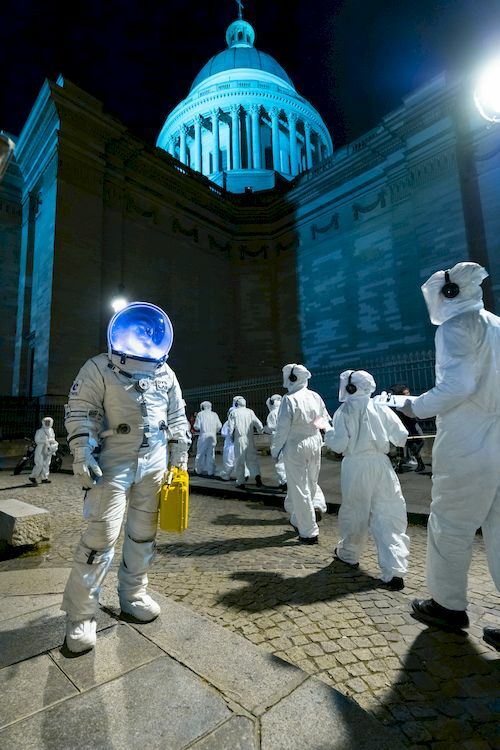 So we hit the streets of Paris’s 5th arrondissement, following instructions and investigating the planet around the Pantheon by gathering all necessary information left behind by creatures called humans. Never was the contact with them so endearingly alienating and so pleasantly explorable. What might look like a carnival from afar may one day represent a serious attempt to imagine the future work of researchers of planet Earth.